In Florida, grandparents have the right to pursue custody of their grandchildren under certain circumstances. 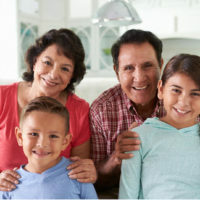 Many people misunderstand the concept of grandparents’ rights and assume that grandparents automatically have the right to visits and the pursuit of custody of their grandchildren. This is not true. Only a child’s legal parents have these rights from the outset, and only when a parent’s rights are terminated can another adult step into that role and pursue a court-supported relationship with the child. When one of the child’s parents is deceased, missing, or in a vegetative state and the child’s other parent is convicted of a felony or another violent offense that poses a threat of harm to the child’s health or safety. Assuming you do fit the criteria listed above, you still do not automatically have the right to pursue custody of your grandchild. In order to have the rights that a parent would have to the child, you must prove to the court that granting you such rights is in the child’s best interest. When a grandparent files a petition for visitation or custody of a child, the court holds a preliminary hearing to determine if there are grounds for the grandparents to potentially be granted such rights. If so, the case goes to mediation, where all parties involved in the case, which is often the grandparents, one of the child’s parents, and in many cases, a guardian ad litem, work with the court to determine an appropriate custody arrangement for the child. To grant grandparents rights to a child, the court must determine that doing so is in the child’s best interest and that it will not harm the child’s relationship with their existing parent or parents. If you plan to exercise your rights as a grandparent, go to court prepared to support your case. You will need evidence that demonstrates your relationship with your grandchild, such as documentation of your day-to-day role in your child’s routine and your history of providing for his or her needs. When you are pursuing custody rights, work with an experienced family lawyer who can help you build your case. To get started with a lawyer who can be your advocate, contact the Law Offices of Steve W. Marsee, P.A. today to set up your initial consultation in our office. We can answer your questions and help you determine the most effective way to move forward with your case.